This website is being revised and updated. Please visit us soon to see the result. Samuel Jones’ new Violin Concerto is being given its world premiere performances this winter (2015-2016) in the recently released Season II of the All-Star Orchestra’s television programs now being broadcast over 80 different PBS stations throughout the country. This is believed to be the first new composition premiered solely on television since Stravinsky’s The Flood and Menotti’s Amahl and the Night Visitors. 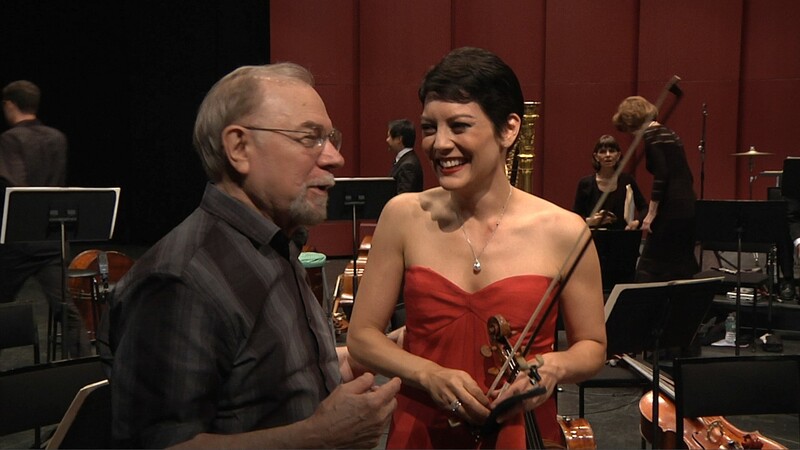 Anne Akiko Meyers’ performance is electrifying and is consummately accompanied by Schwarz and his All-Stars. Image (Left): “It’s the only picture we’ve ever had taken.” One of Capote’s Christmas memories. Truman Capote, age 7, with his beloved elderly cousin, Sook Faulk. and Kristi Trimble (Sook Faulk), reproducing the pose of the iconic original picture. directed by Gaitley Mathews. Photo credit, Gaitley Mathews. Susan Dormady Eisenberg, a regular arts blogger for the Huffington Post, recently wrote a fascinating article about A Christmas Memory, the opera Samuel Jones composed based on the beloved story by Truman Capote. Besides telling the interesting story of how Jones came to write the opera, the article makes a compelling case for the opera’s holiday suitability. Walter Simmons, the musicologist regarded by many as the most significant chronicler of the American Tonalist composers, has honored Jones by placing him in the “Featured Composer” section of Simmons’ influential website. Simmons, the author of the books “Voices in the Wilderness: Six American Neo-Romantic Composers” and “Voices of Stone and Steel: The Music of Schuman, Persichetti, and Mennin,” has written a perceptive introduction to Jones’ body of work and an appraisal of his place in the continuum of the neo-romantic ethos into the 21st Century. In February 2015 Simmons gave the keynote address inaugurating a week-long Festival of Samuel Jones’ music given by Whitman College and the Walla Walla Symphony held in Walla Walla, WA. In this Festival 10 of Jones’ compositions were performed, culminating in a performance of his Trombone Concerto by Doug Scarborough, accompanied by Yaacov Bergman conducting the Walla Walla Symphony. Samuel Jones has recently completed a String Quartet, written for the outstanding Texas chamber group, the Harrington String Quartet (in residence at West Texas A&M University in Canyon, Texas). The Quartet will give the world premiere on Nov. 12, 2106, followed shortly by a CD release and a television production documenting the premiere. Two of Samuel Jones’ popular orchestral works have been arranged for Symphonic Band and have recently been programmed by the nation’s magnificent military bands. They will soon be published by Carl Fischer and made available for sale. Fanfare and Celebration was first performed by the U.S. Navy Band, conducted by Capt. Brian Walden in an earlier version in 2013. The revised and definitive version was premiered by the U.S. Marine Band in two performances in March, 2015, conducted by Lt. Col. Jason Fertig. This version was recorded and will soon be posted on the Marine Band’s website. The band arrangement was made by Carl Simpson and the composer. The 5-minute piece was originally commissioned by the Houston Symphony and has been performed numerous times throughout the country. Elegy has been sensitively arranged for Symphonic Band by David Miller and will be premiered by the U.S. Navy Band, conducted by Capt. Kenneth Collins early in 2016. Originally composed for strings in response to the assassination of President John F. Kennedy, this short work has been performed countless times on five continents and was recorded by the Houston Symphony conducted by the composer. 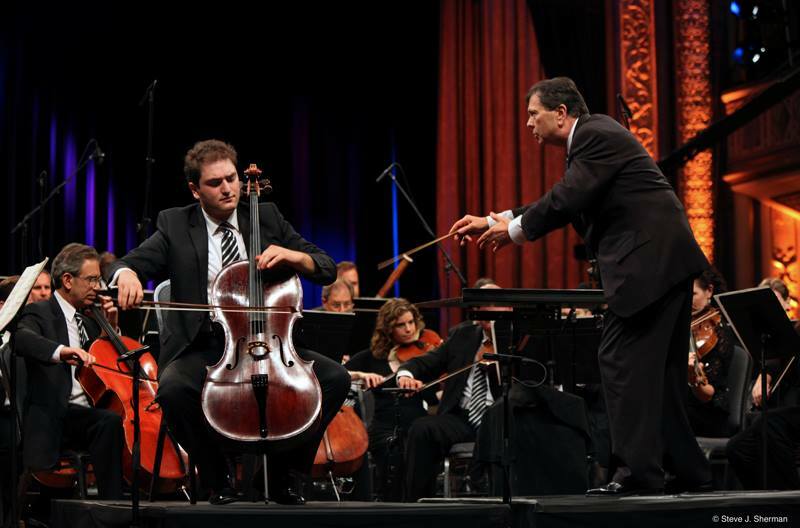 Samuel Jones’ Cello Concerto has received signal recognition as one of the works performed on the inaugural series of the All-Star Orchestra, the innovative and award-winning television project conceived and conducted by Gerard Schwarz now being aired on PBS stations all over America and streamed on WNET’s website. The soloist in the concerto is Julian Schwarz, one of the finest cellists now before the public and, at age 22, clearly destined to be among the most outstanding cellists of our age. 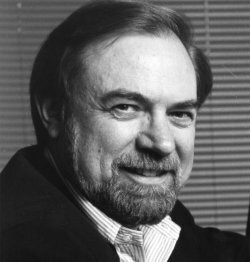 Composed in 2010 to honor Gerard Schwarz at the beginning of his final season as Music Director of the Seattle Symphony, Jones’ Cello Concerto was premiered on September 11, 2010 at the gala opening concert of the season, with the Maestro’s son, then 19 years old, as soloist, for whom the work was written. He played the concerto (and all the rehearsals) from memory, a most unusual feat for the premiere of a contemporary work, and he dazzled the audience with the depth of his maturity and the brilliance of his technique. As if to underscore that promise, Julian Schwarz recently won the $25,000 first prize in the professional cello division of the Alice and Eleanor Schoenfeld International String Competition. Both Schwarz, son and father, collaborate with the top-of-the-line musicians of the All-Star Orchestra in a performance of unusual emotional depth and communicative power. Please visit www.allstarorchestra.info for a list of stations carrying the broadcasts. This list is constantly being updated to include new additions to the list. Besides the American Public Television broadcasts, the All-Star Orchestra series will be released as a DVD on Naxos. The Cello Concerto is on Program 6, "The Living Art Form." The program also includes works by Richard Danielpour and Joseph Schwantner. The Cello Concerto received its second performance on April 18, 2013 by the esteemed cellist Norman Fischer accompanied by the Rice Shepherd School Orchestra, conducted by Larry Rachleff. THE SHOEBIRD nominated for a Grammy! Samuel Jones' The Shoebird has received a nomination from the 51st annual Grammy awards in the category of "Best Musical Album for Children." Fabulous New Recording of THE SHOE BIRD features JIM DALE! The Seattle Symphony’s new recording of Samuel Jones’ THE SHOE BIRD has just been released (September, 2008) by Brilliance Audio, one of the nation’s leading publishers of audiobooks. The narration is brilliantly performed by JIM DALE, beloved for his inimitable narrations of the Harry Potter audiobooks. With the inspired musical performance of Gerard Schwarz and the Seattle Symphony, together with the Northwest Boychoir and VocalPoint Seattle led by Joseph Crnko, this magical collaboration between Eudora Welty and Samuel Jones is destined to reach a new generation of music lovers. The audiobook is available for purchase online at Amazon.com, and at bookstores that offer audiobooks for children. The audiobook features an extended narration, with a total duration of 58 minutes. The concert version is 48 minutes; all the music is present in both versions, but the narration of the concert version is shortened to comply with the standard length of most children’s concerts. Conductors and Orchestra Librarians contacting the publisher (Carl Fischer) should specify which version of the work they wish to perform. For further information on this work, click here. A Trifecta of Lower Brass Concertos! Samuel Jones is currently completing the third in a much-anticipated series of concerti written for the principal players of the Seattle Symphony’s lower brass section. - His Concerto for Trombone and Orchestra will be premiered on April 2, 2009 with Ko-ichiro Yamamoto, soloist. - The Horn Concerto, written for John Cerminaro, received its premiere on February 14, 2008. - And the Tuba Concerto, written for Christopher Olka, was premiered on January 5, 2006. All of the concerti were or will be accompanied by Gerard Schwarz and the Seattle Symphony. Gerard Schwarz conducts the World Youth Symphony at Interlochen in A Symphonic Requiem (Variations on a Theme of Howard Hanson). 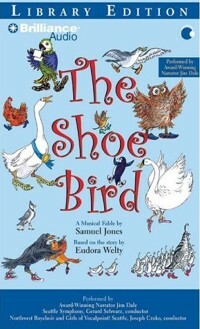 New Jersey Symphony performs Eudora’s Fable: The Shoe Bird. Seattle Symphony opens its 100th anniversary season with the premiere of Chorale-Overture for Organ and Orchestra , commissioned for the occasion. Jones is named Music Alive Composer in Residence with the Meridian Symphony Orchestra by Meet The Composer and the American Symphony Orchestra League. Jones begins twelvfth season as Composer in Residence of the Seattle Symphony Orchestra. Perusal scores for the newly-revised A Symphonic Requiem (Variations on a Theme of Howard Hanson) are now available from Carl Fischer. The Knoxville Symphony (Kirk Trevor) performs Symphony No. 3 (Palo Duro Canyon) . Elegy is performed by L'Offerta Musicale di Venezia (James Setapen).